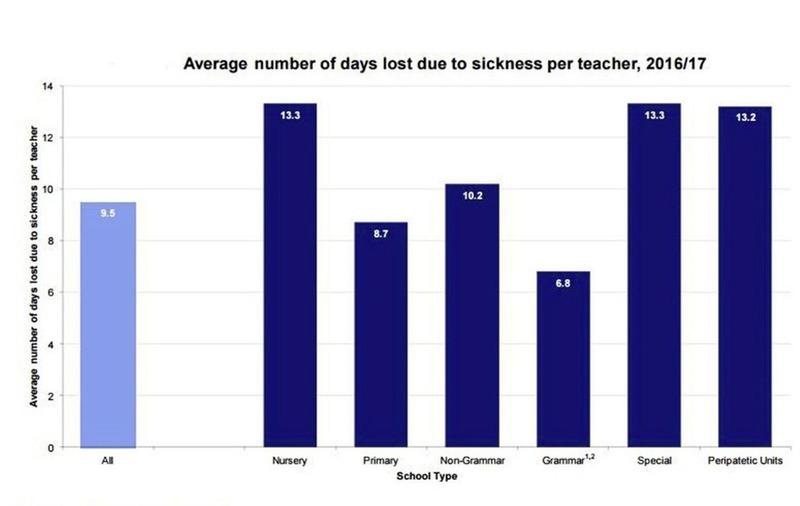 TEACHERS are missing an average of almost 10 days a year due to illness. Sick leave is at its highest level in five years, which is also driving up sub teacher costs - £73.6 million was spent in the last financial year. The figures have been made public by the Department of Education in its statistical bulletin on teacher vacancies, sickness absence and substitution cover in grant-aided schools for the 2016/17 year. There were 18,487 full-time teachers in the north's schools, a slight fall from 18,570 in 2015/16. The proportion of teachers working part-time is continuing to rise. 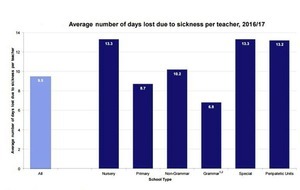 The average number of days lost per teacher due to sickness across all schools was 9.5. This represents an increase of 1.3 days from the previous year. Teachers in special and nursery schools missed the most days on average (13.3), while the lowest average was in the grammar sector (6.8). 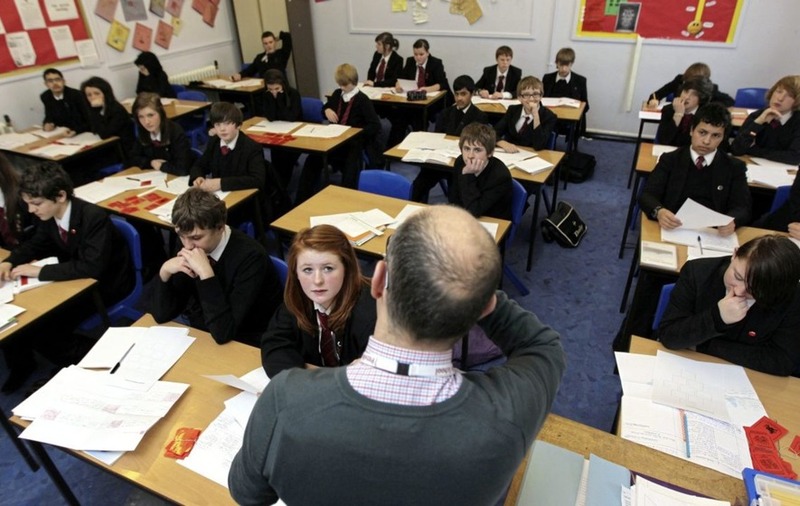 The overall figure of 9.5 is up from 7.8 working days lost per teacher in 2012/13. As a result, teacher sub costs are also on the increase - £73.6m in 2016/17 compared to £67.3m the previous year. The cost of substitute cover for sickness specifically has risen this year by 17 per cent to more than £15m. Since 2012/13 annual sickness cover has gone up by almost £3.5m. While sub costs for maternity, paternity and adoption have risen by approximately £822,000 to £14.8m since 2015/16, this figure had remained relatively stable since 2012/13. The cost of subs for vacant posts has increased by more than £1.1m between 2015/16 and 2016/17 to £14.8m. Almost 400 posts remained unfilled in 2016/17 - 24 of them principal posts. This was an increase from 262 the previous year, with most of the vacancies in the primary and nursery sectors. However, the number of sub days worked by prematurely retired teachers has seen a dramatic fall from almost 68,000 in 2008/09 to just over 8,500 in 2016/17. The figure represented 1.7 per cent of the total days worked, compared to 14.4 per cent in 2008/09. Avril Hall Callaghan, general secretary of the Ulster Teachers' Union, last night said teacher morale in the cash-strapped education system is at an all-time low. “Our profession is being bled dry,” she said. “Teacher sick leave is up, the pupil:teacher ratio is up, teacher substitution costs are up and the workforce is ageing. “We need a sea change if this downward spiral is to be stemmed. Yet, without a functioning government what hope do we have of that?"